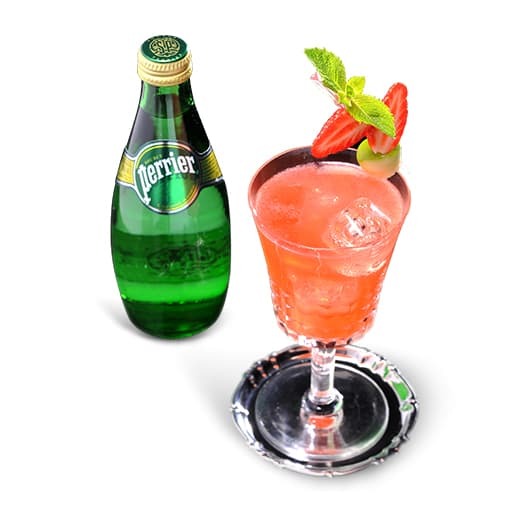 The freshness of the delflower, the delicat strawberry flavour and the power of the gin are a perfect combination for Perrier for a charming cocktail. 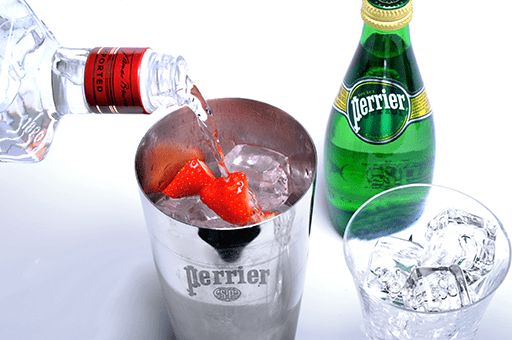 Cut three strawberries into pieces and place them into a shaker filled with ice cubes. Add the gin and the elderflower liquor and the syrup. 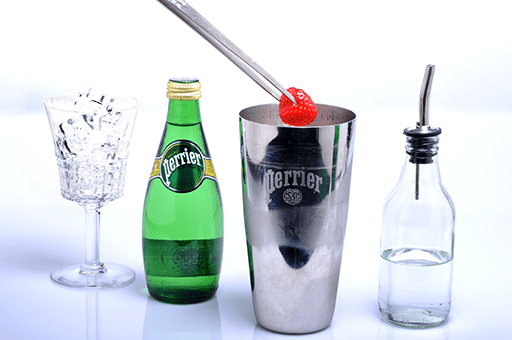 Open the shaker and add the PERRIER. Stir well using the bar spoon and filter (or double filter) into a cocktail glass with ice cubes. 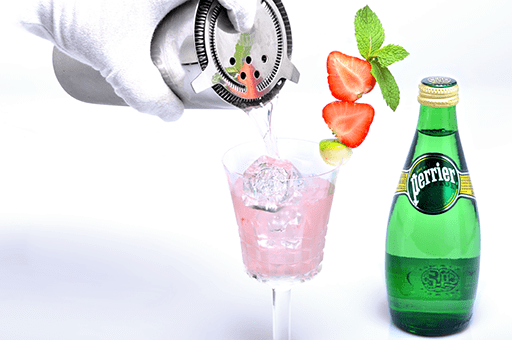 Garnish with fresh strawberries and a mint head.